Join us October 5-7th for the 23rd Annual H. P. Lovecraft Film Festival! 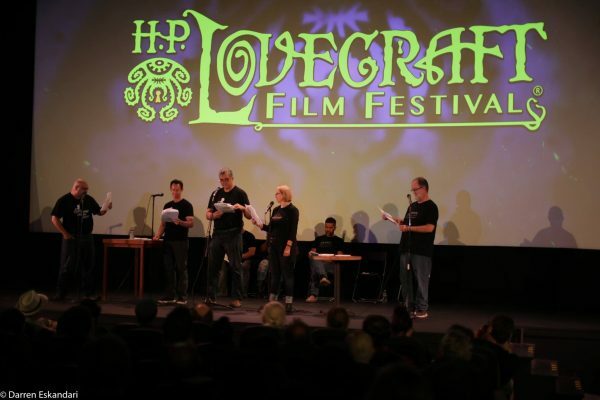 This 3 day event takes place at the Hollywood Theatre and is a celebration of cinema, art, literature, and pop culture surrounding the father of cosmic horror, H. P. Lovecraft. This year's guests include: Japanese Idol band - Necronomidol, Guest of Honor - Chiaki J. Konaka, Special Guest - Richard Stanley, and more! Ticket packages are currently available through Kickstarter (bit.ly/2018hplff). Regular festival passes and single day tickets will be available soon through the Hollywood Theatre.